I’ve actually had this since last year when it was first released but it went to the back of a backlog of moisturisers waiting to be used and so I’ve only started this recently. 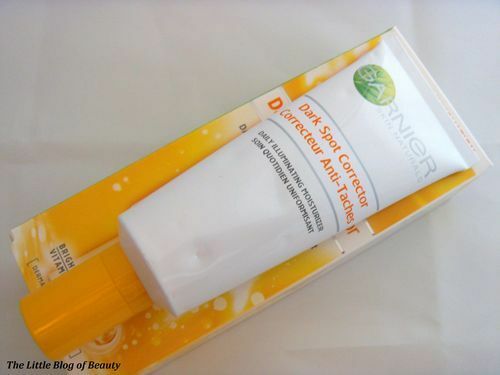 I won this product as part of a giveaway run by Garnier when this was first released. I have various problems with my skin including sensitivity, redness and acne scaring and also what I believe may be dark spots or pigmentation. I have this across the top of both cheeks but it’s worse under and round to the side of my left eye. I’m very careful with my skin in the sun because I know how easily I can burn. However, when I was much younger I remember a couple of occasions when I was reasonably badly burned on my face and so I believe the dark spots or pigmentation I have may be due to sun damage. 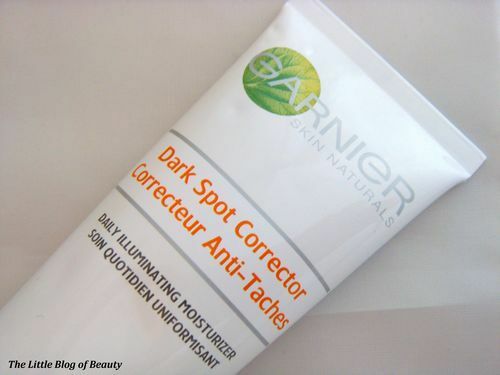 Garnier’s Dark Spot Corrector has been designed to fade discolourations and even skin tone targeting dark spots, age spots and blemish marks. It contains 5% vitamin C, which Garnier claim is known for its anti-oxidant and brightening abilities. 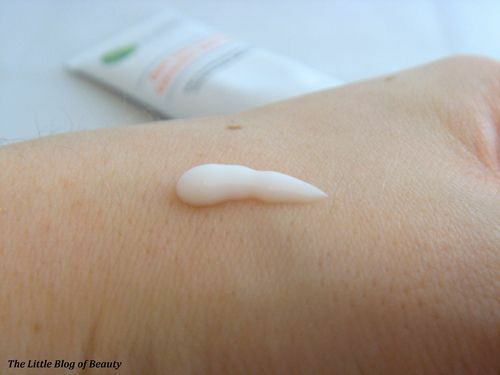 This is a light almost gel-like cream with a very slight citrus scent that feels very refreshing when applied. 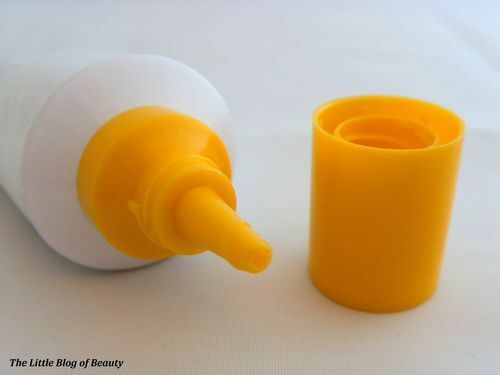 This is supposed to be for all skin types and tones but I think this would probably be better for normal or oily skin. My skin can get really dry and I found that when I applied this when my skin was dry it stung a little, I’m guessing maybe due to the highly concentrated level of vitamin C. This didn’t last long but is obviously not really a comfortable feeling. This also didn’t really provide me with enough moisturisation. When my skin was really dry I would sometimes apply this and leave it for a couple of minutes and then discover that my skin still felt rough and that I needed to apply another layer over the top. 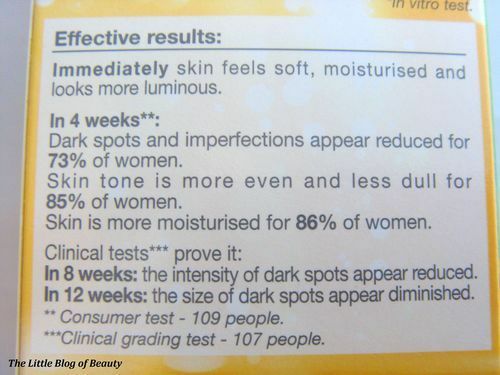 I have been using this for around 6 weeks now and unfortunately I don’t think I have seen any improvement in the general appearance of my skin or my dark spots/pigmentation. I think this would make a nice light refreshing moisturiser for people with normal to oily skin but this doesn’t really work for me personally.